If you’re an advanced Android user and like customizing your Android device with some tweaks, you definitely tried some modules or apps or launchers for once. Have you ever tried to change or customize the boot animation of your device? 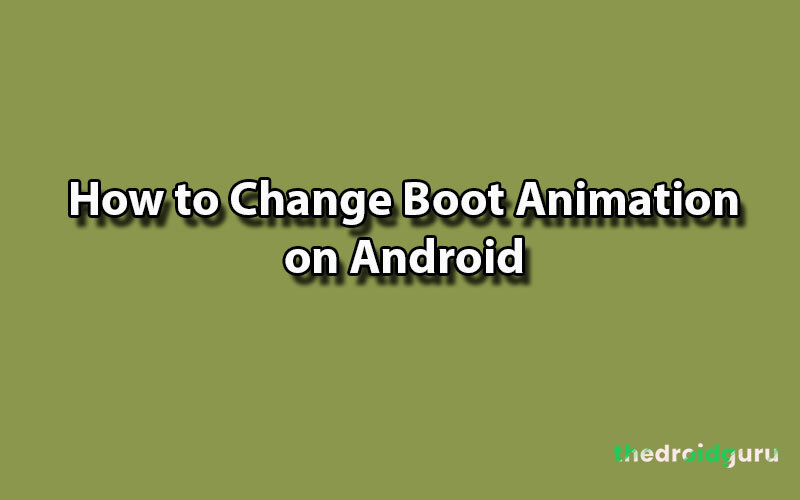 Here in this post, we will provide a guide on how to change boot animation on Android device easily. The boot animation of any device including Android is little starting process that plays an animation to the user that the system is launching. Sometimes some of the background processes will start at the time of booting. So the animation will grab the attention of the user and completes the background tasks within a few seconds. It’s quite often and obvious that the boot animation is based on device model, device manufacturer, or the operating system icon or logo with some texts as well. There are so many options to install a new boot animation on Android device. The following method should work on most of the Android phones. Please Note: You have to root your device at first. Otherwise, you can’t be able to install any boot animation as it overrides the system animation. Once you have been enabled root permissions, go to the root directory of your device from any of the Root Explorer or Root Browser file manager. Here, depending on the application you will see 9 boxes, sorted by “Read” as “-r”, “Write” as “-wr” and “Execute” as “-x”. Now check all the permissions – read, write, and execute options under Permission. Once you’ve done this, head into the System file now and then go to Media or Multimedia (depends on your device). You’ll find a file named “bootanimation.zip” or similar (for example, if you have Xiaomi device, you can find bootxiaomi.qmg). Don’t change the extension (“. zip” or “. qmg”). Search a boot animation file on the internet. As we mentioned above that the boot animation change requires root access on your Android device. This below-mentioned application is easily available on the Google Play Store and you don’t need to do anything extra. Boot Animations for Superuser application is a free/paid rooted application which offers a lot of customizations over boot animation. You have to unlock some of the additional premium features via doing payment. The app brings a lot of preloaded images, icons and logos for boot animation and it also provides freshly updated animations as well. If you face any issue with this app, just uninstall and reinstall it.